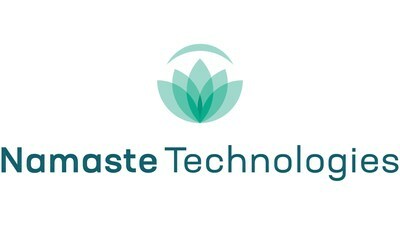 Namaste Technologies Inc. (“Namaste” or the “Company”) (TSXV: N) (FRANKFURT: M5BQ) (OTCMKTS: NXTTF) is pleased to announce that the Company has acquired over 28,000 registered users through NamasteMD Inc. (“NamasteMD”), and that the Uppy Strain Journal (“Uppy” or “Uppy.com”) has now been downloaded over 23,000 times. The NamasteMD app is available on iOS and Android devices and online at NamasteMD.com. NamasteMD is an online platform which provides free access to medical cannabis consultations through secure video conferencing. The Uppy Strain Journal collects user-generated data on cannabis strains and their impact on various medical conditions.